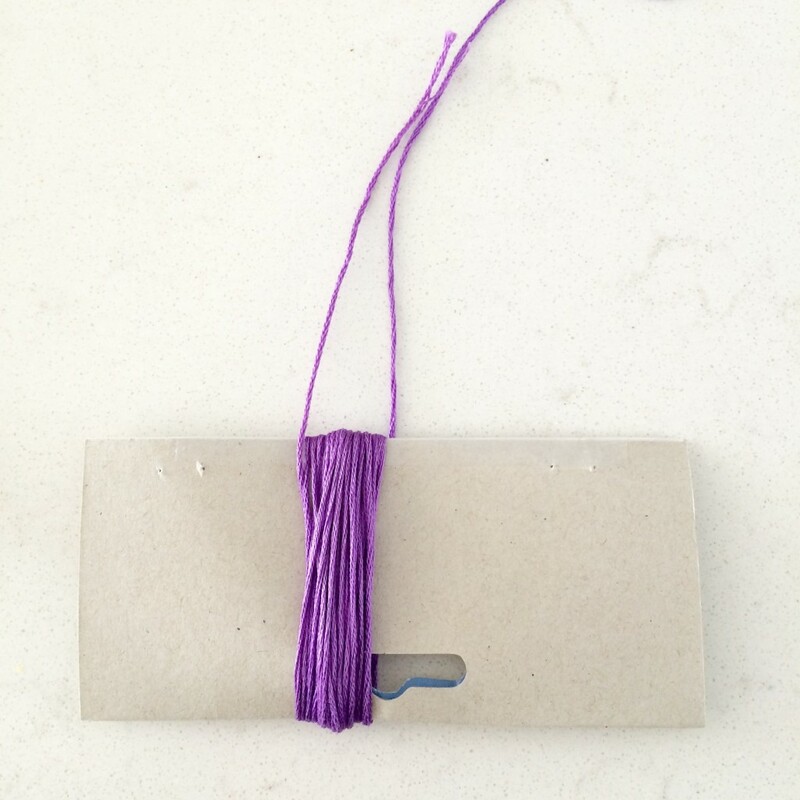 Step 1: Wrap your colored floss around a firm cardboard about 50 times (this determines the size of your tassel). Step 2: Take another piece of the floss and scoot it under the wrapped floss and tie it. Step 3: Cut the wrapped floss on the bottom. 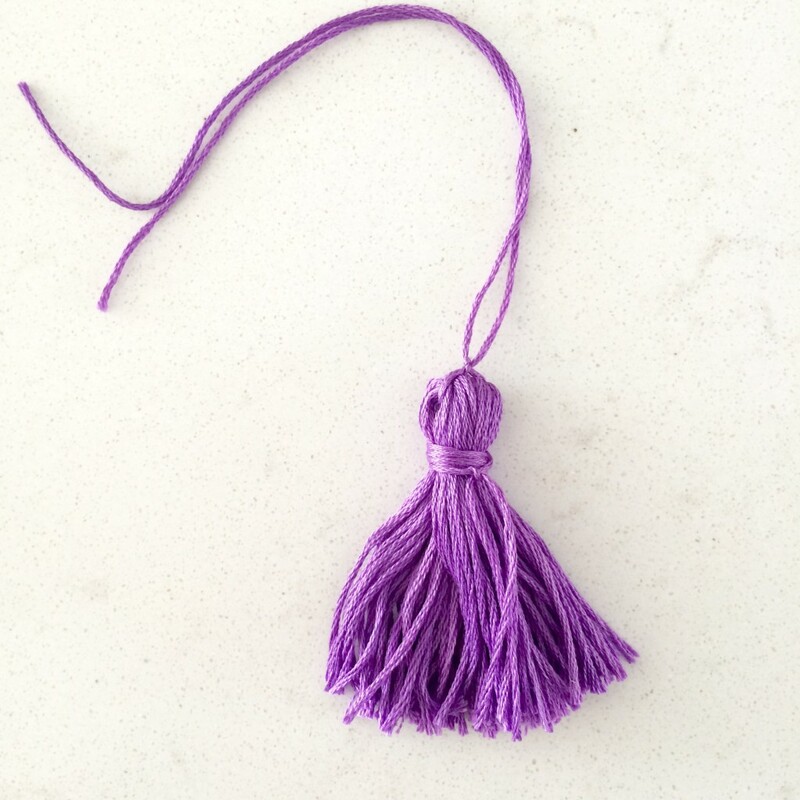 You now have an item that looks similar to a tassel! 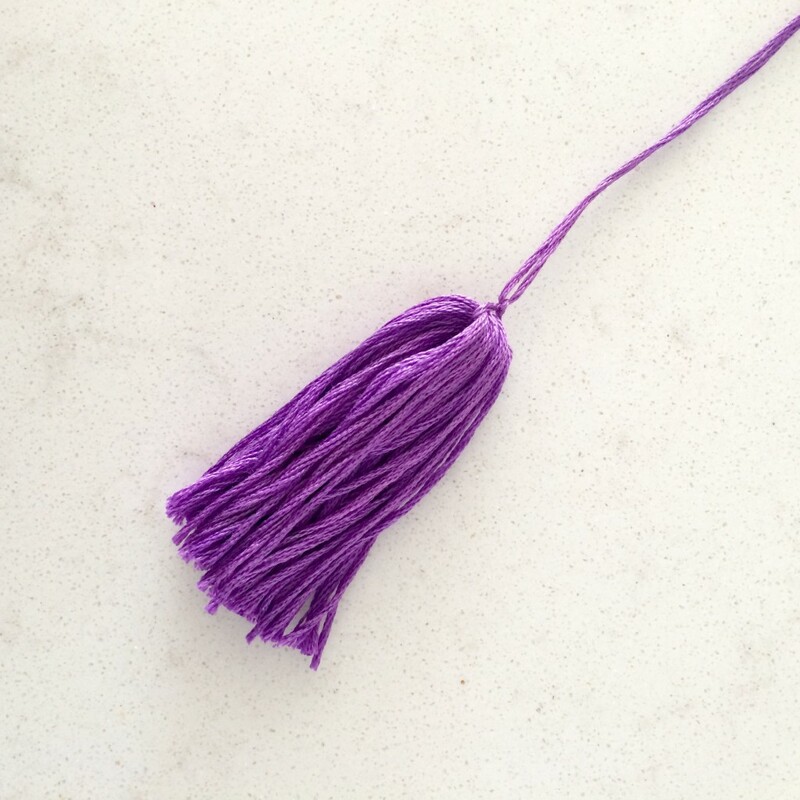 Step 4: Take yet another piece of floss and wrap it around the main tassel about 5-7 times. Step 5: Tie the remaining part of the wrapped piece. 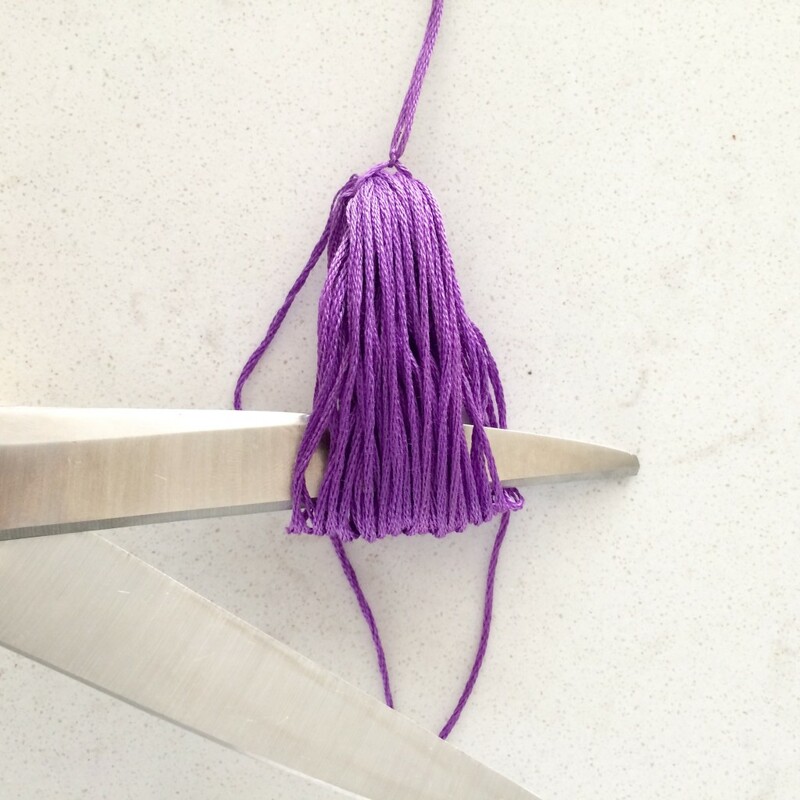 Cut the ends so they blend in with the rest of the tassel. 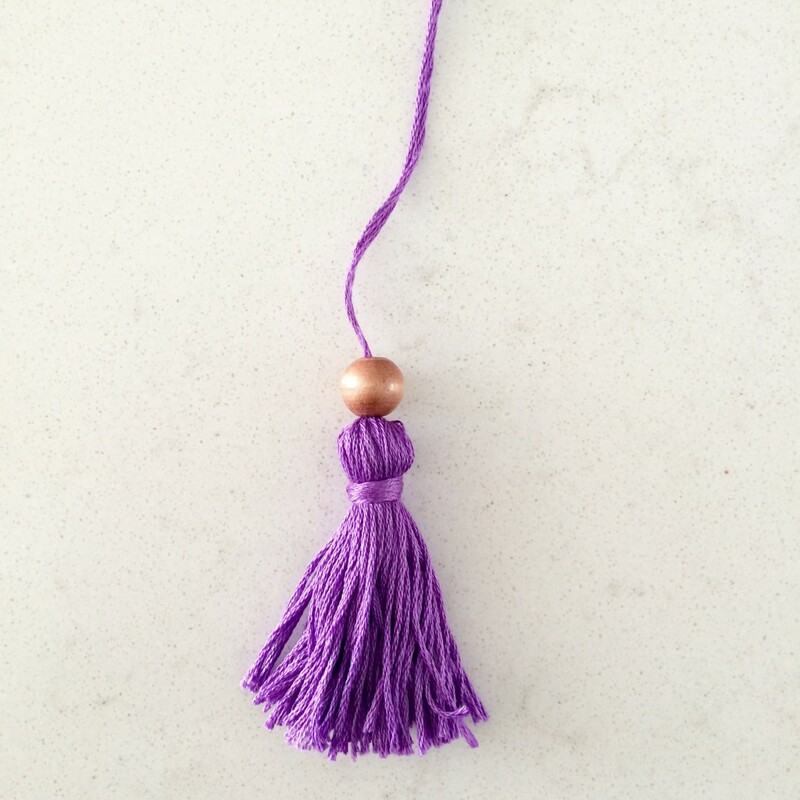 Step 6: Thread a wood bead on top of the tassel. 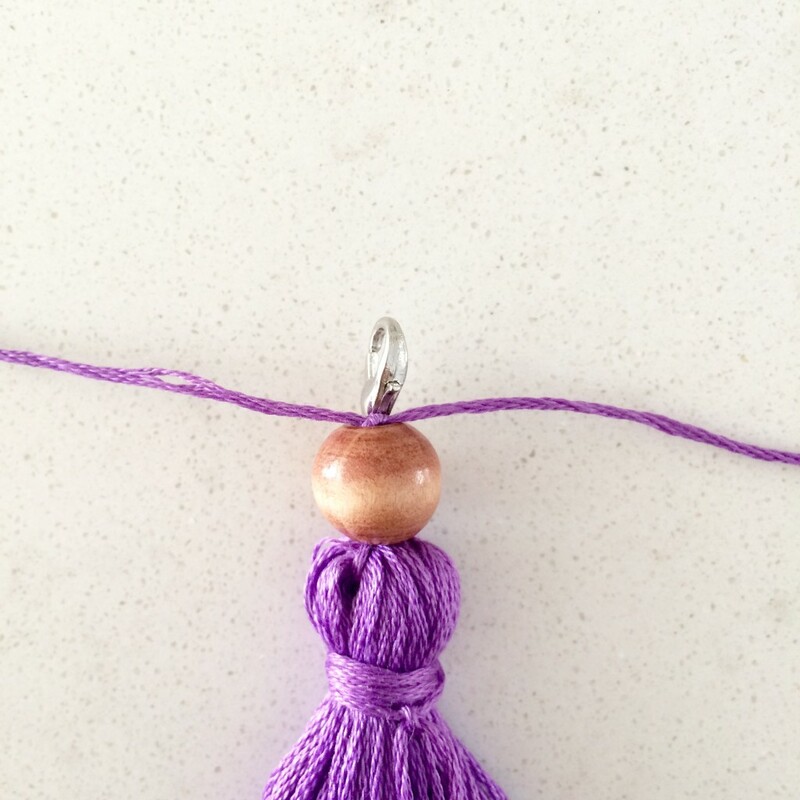 Step 7: Thread a lobster clasp on top of the wood bead. Step 8: Tie knots around the lobster clasp a few times to secure it as close to the wood bead as possible. Step 9: Cut the ends of the knotted ties by the clasp. If you want extra security, dab a drop of super glue on the knot to keep it in place. 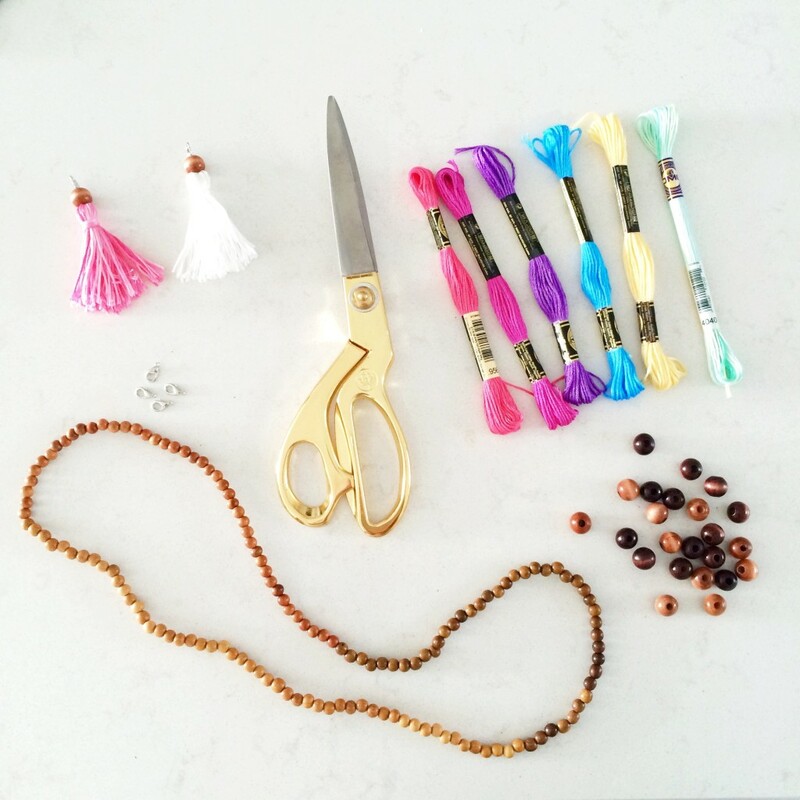 Step 10: Hook the clasp onto your beaded necklace! 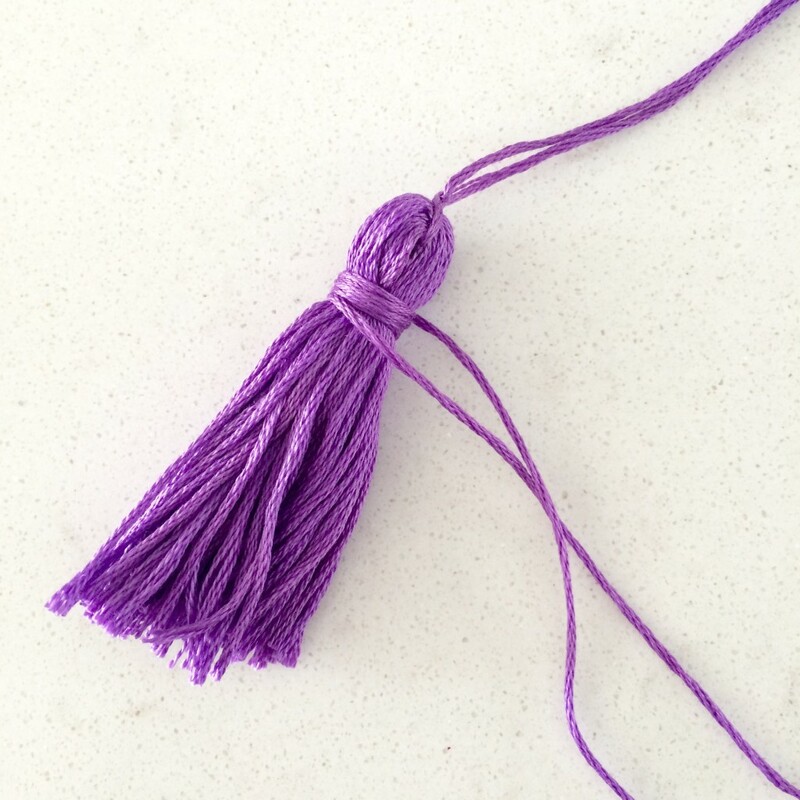 And ta-daa!You now have your first color for your interchangeable tassel necklace! 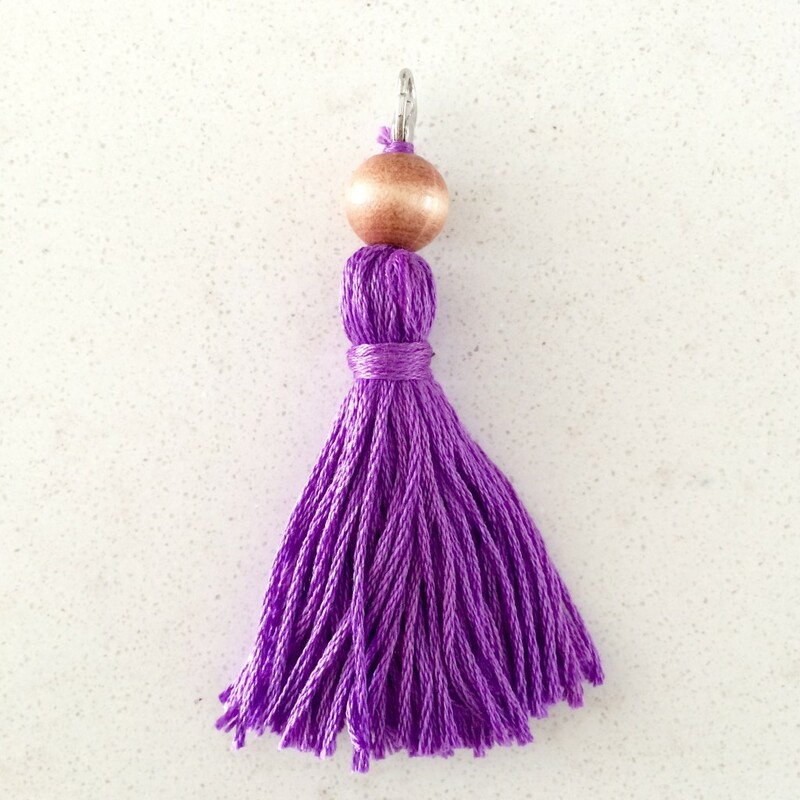 !Repeat the steps until all of your tassels are complete! 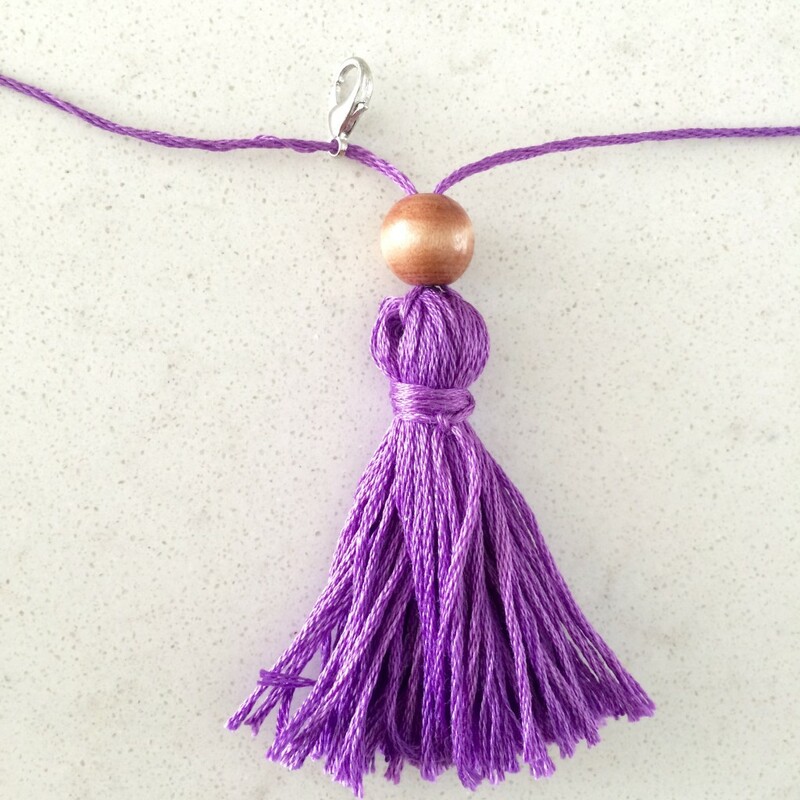 Have fun wearing this cute necklace with multiple outfits!! I can’t wait to show you how I style it on my Florida vacation!! It’s so versatile and cute! Happy Crafting! Very cute 😉 love your in depth DIY. I may have to try and make my own. Oh my gosh! This is perfect! 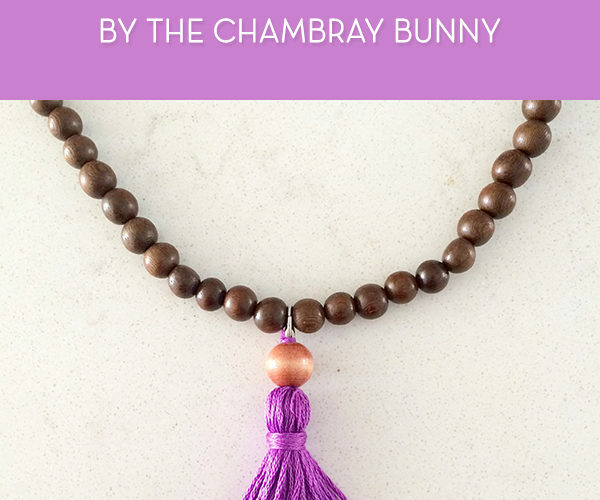 I have been wanting one of these necklaces but haven’t broke over to buy one because I couldn’t decide on a color. So happy I found this! 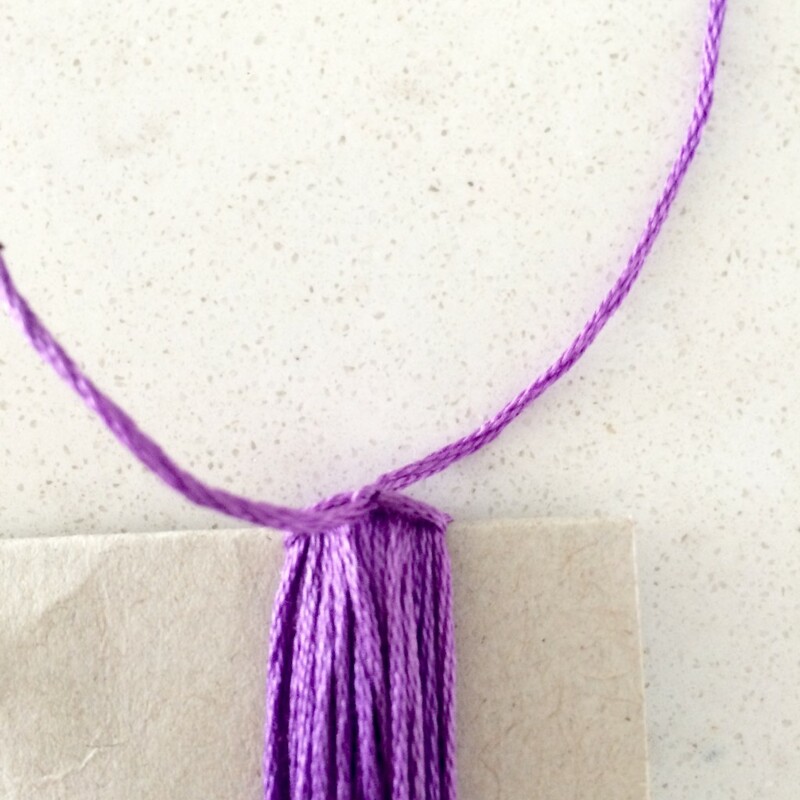 This is amazing, I recently started making some simple necklaces myself! Hate the crazy prices!! This one is so cute, go girl! How cute and looks super easy! OMG I must do this… Thanks for the tip!!! I LOVE this! I going to try it with my boyfriend’s daughter this weekend. She loves DIY! 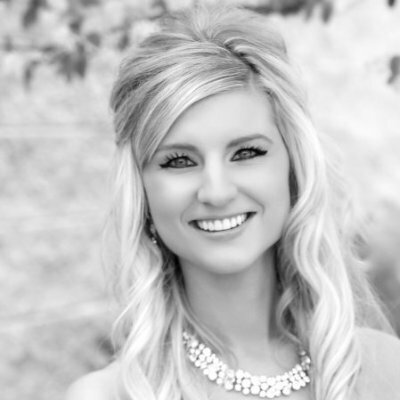 It’s always so intriguing to me to see how necklaces and other jewelry is made. I love how detailed you were with instructions for this and can’t wait to try it myself! What a fun tutorial! 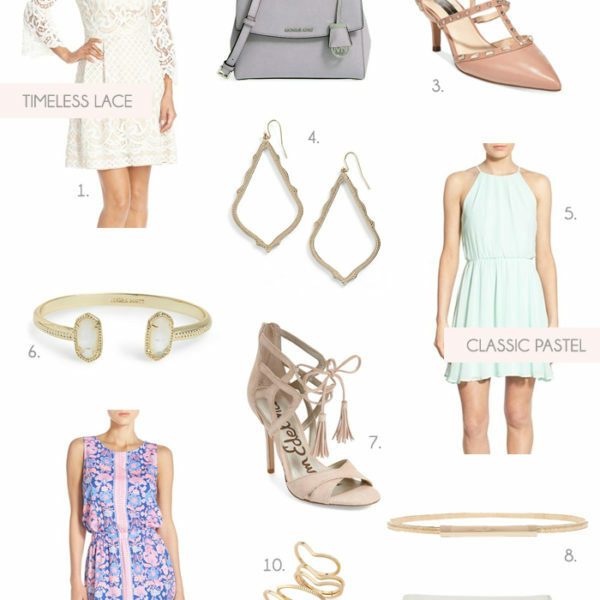 I love how each step was so thoroughly explained and the result is super cute! 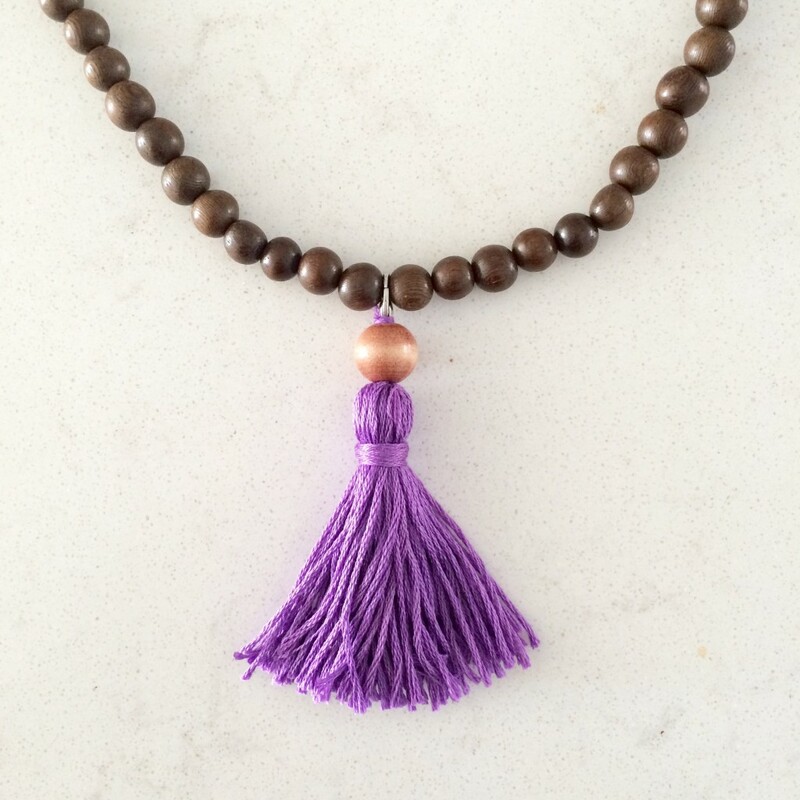 I can’t seem to find the already made wooden necklace online – anyone have the same problem?? I haven’t checked in stores yet.